This holiday home at the Stelhoeve park is perfect for a stay of any length and in any season. The park is right on the shore of the Oosterschelde. It is an environment where you can find inspiration and unwind. For children there is much to discover: in the woods, on the beach or on the dike along the Oosterschelde. The holiday home is designed as Zeeland cottages with traditional wooden walls. It is tastefully decorated and has all the basic amenities for a comfortable holiday for the whole family. You can also rent several houses (different types) when you vacation with more families. 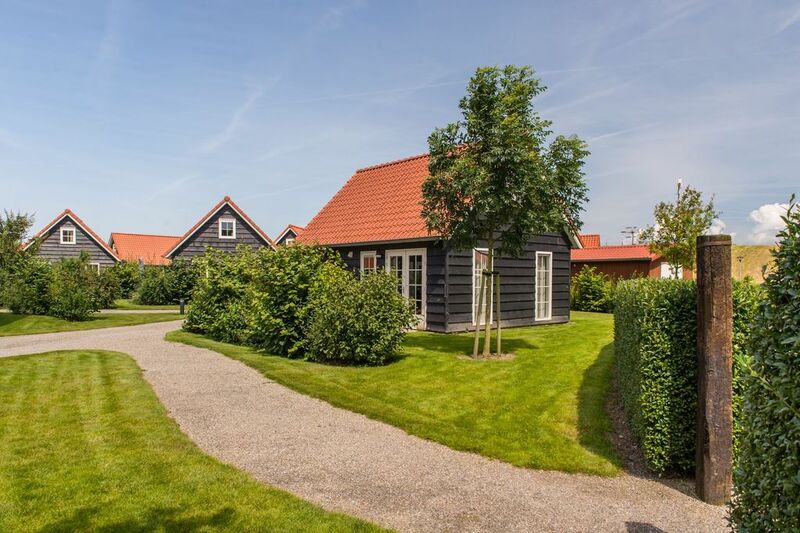 This luxurious holiday home is newly built in Zeeland style. It is very comfortable and sleek. The houses are spacious and have a wide view over the meadows. It is suitable for 4 people. The house has 2 bedrooms, with 2 single box spring beds on the upper floor, and a bunk bed on the ground floor. The kitchen is equipped with a microwave, refrigerator, coffee machine, water kettle and a vacuum cleaner. Free Wi-Fi is available. The house also has a terrace with a picnic table and chairs. - After 22:00, it should be silence at the park. - Persons under 21 years of age allowed only accompanied by an adult. - You can use the Wi-Fi free of charge during your stay.